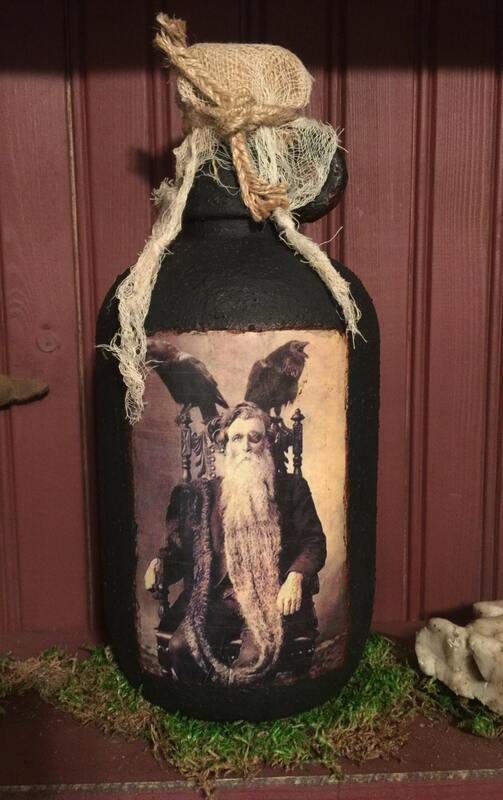 Handcrafted Victorian Odin jug is perfect for your primitive decor. 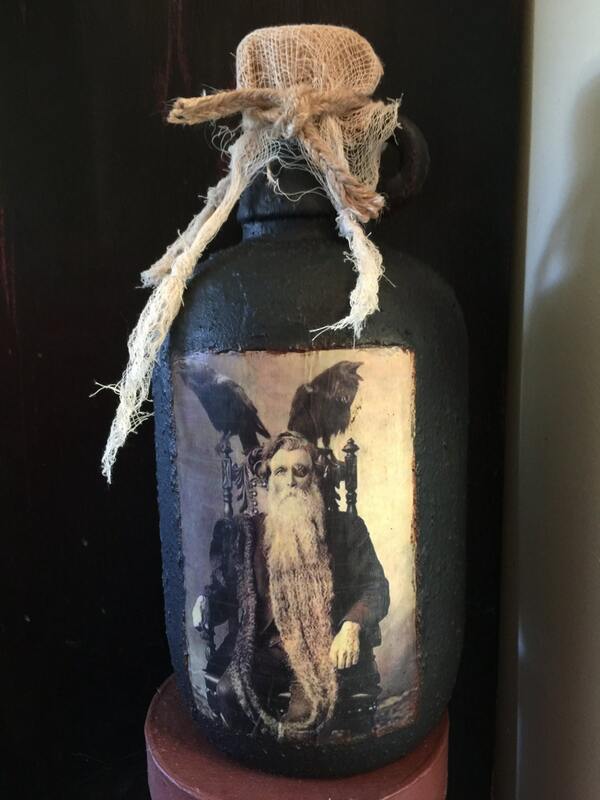 Odin sits with his ravens, Huginn and Muninn, on this vintage jug accented with burlap and cheesecloth. The vintage glass bleach jug stands at 12 inches tall with a small handle at the top. 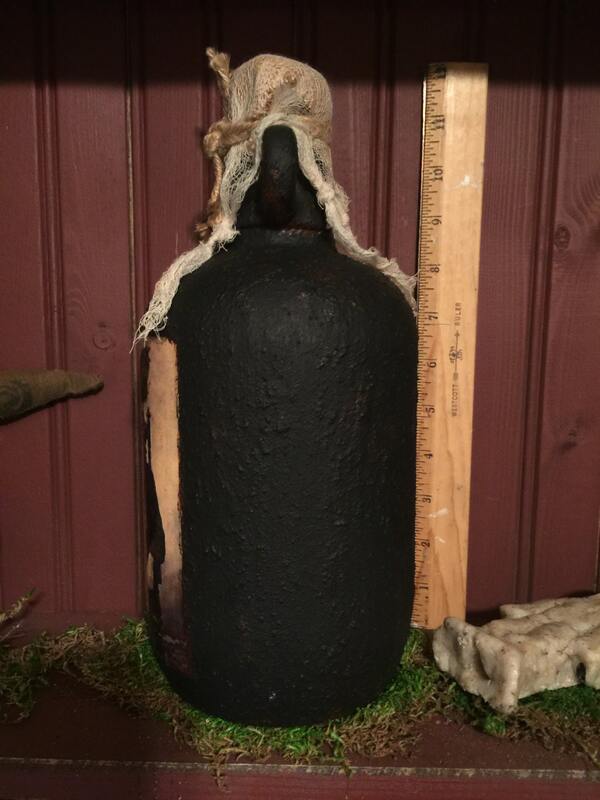 Displays beautifully and looks fabulous in your primitive, rustic, or country decor.